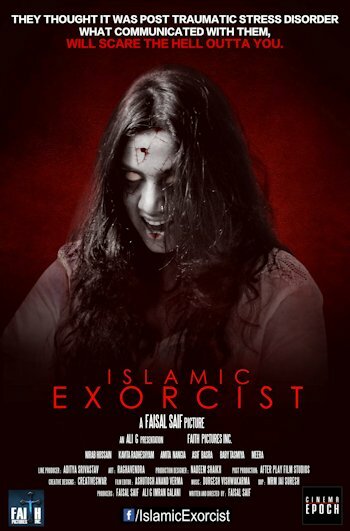 American independent studio who recently gave Samurai Cop 2 and Holy Terror, Cinema Epoch has acquired the distribution rights of Indian international Horror film Islamic Exorcist. The film is written and directed by controversial Indian film maker Faisal Saif and is in English language. Islamic Exorcist is based on a True Story that happened in India and depicts the controversial understanding between Shia and Sunni Muslim community. The studio which is backed by acclaimed film maker Gregory Hatanaka revealed the film's First Poster yesterday. Cinema Epoch has produced and distributed films such as John Woo's The Killer, Samurai Cop 1 & 2, Daryl Hannah's Blind Revenge to name a few. The Studio is distributing the film all across USA, Canada, UK, Germany and Japan. "I was getting threats to not to make this movie and showcase it. It is my honor to be associated with a studio like Cinema Epoch which gave me a huge freedom on my creativity and my film." said Faisal Saif. Islamic Exorcist which stars Kavita Radheshyam who is tagged as India's Kim Kardashian will be released by Cinema Epoch this year. Visit the official Facebook Page.